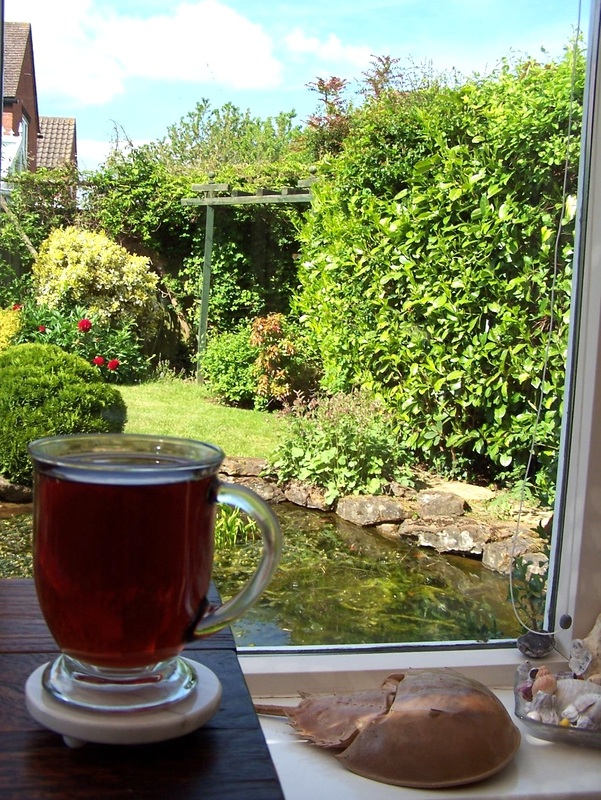 I have fully embraced the concept of afternoon tea since living in England, and I especially love the days when I’m caught up enough on my to-do list to enjoy my cuppa in the conservatory (sunroom). There is nothing better than sipping an afternoon blend, watching the fish swim nonchalantly around the pond, and admiring whatever new blossoms have appeared since I last had a moment to relax. Sounds delightful…and very restful…enjoy the brew!